Are you looking for a stress free Christmas shopping experience? If you are interested in finding unique, handmade Christmas gifts then there’s plenty of places you can get them if you live near Dundee or are in Edinburgh. I don’t know about you, but I hate waiting in queues and being totally stressed out shopping in the highstreet stores for Christmas presents. I’m also sick of seeing the same things every year. If you are looking for unusual gifts for your loved ones this year, there’s lots of Christmas craft fairs that you can visit to pick up some really unique presents. Jingle Bells we’ve got art and design goodies to sell! The much anticipated fabulous WASPS Christmas cracker Designers and Artists market is back and now in it’s 5th year! 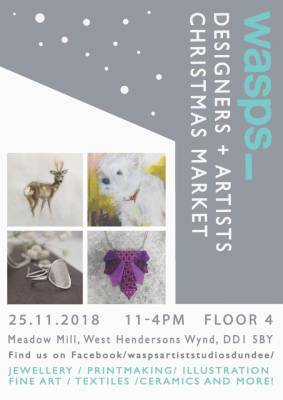 A wonderfully festive event with sparkly handmade items by our ridiculously talented tenants AND a gorgeous of few of Dundee’s well known creative guests to boot. your handmade gifts in the other. Join us for festive fizz and nibbles to celebrate 12 years of Genna Design. 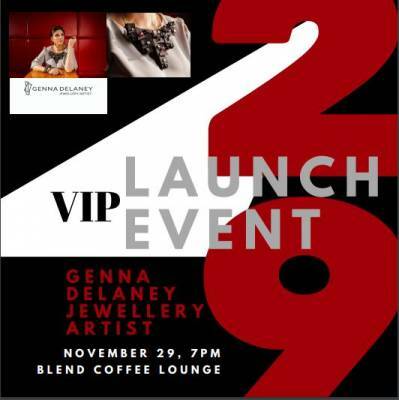 I’m having a VIP Launch Party to celebrate the launch of my new brand Genna Delaney Jewellery Artist and New Formation collection. The collection evokes a strong sense of Female Empowerment, Beauty, Architecture and Geometry. Strong women inspire my creations to stand bold and be proud of their individuality and femininity. Try on jewellery, get pampered and have your photo taken on the night. I’m hosting a raffle on the night to raise money for The Fawcett Society who promote gender equality and equal rights. I’m donating a piece from my new collection and there will be lots of other goodies to win. For more information about the event, head to eventbrite to get your ticket there’s a limited amount of tickets available. We are kicking off Christmas shopping on November 30th with our first ever Coca-Cola 5by20 exhibition and trade show at the Apex Hotel. We are aiming to get 520 pairs of feet through the door to meet and trade with over 40 of the inspirational business women who have been part of the Coca-Cola 5by20 programme. Join us from 12.30pm on Friday November 30th to get started on your Christmas shopping and support the amazing work of local business women. 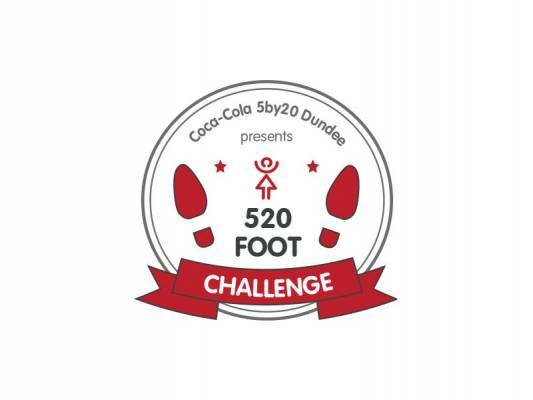 Help us get to 520 pairs of feet and be in with the chance of winning amazing prizes on the day. 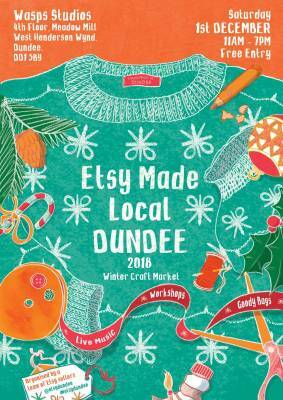 Join us for the first ever Etsy Made Local Dundee! Etsy Made Local is a national event that will see towns and cities from coast to coast celebrating the makers and designers that make up the creative community selling on Etsy.com, the online marketplace for handmade and vintage goods, and encouraging people to look locally for this year’s Christmas gifts. 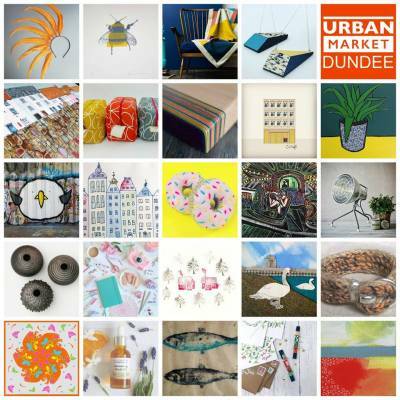 The Dundee Etsy Team will be popping up at Wasps Meadow Mill Studios on Saturday 1st December from 11am-7pm for a chance to check out the best unique and locally made products that you won’t find on the high street! 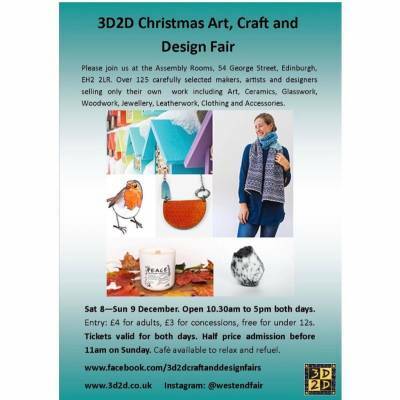 Organised by a team of local Etsy sellers, pop along to find meaningful gifts from 25 designers and makers. As well as Christmas shopping we’ll have lots of other treats including a crafty decoration workshop, cheesy photo booth, goody bags and festive evening fun with live music and mulled wine! We’re collecting for Dundee Foodbank so would appreciate any tinned food donations. The Assembly Rooms on George Street in Edinburgh is a beautiful, luxurious venue. So if you are looking for a luxurious shopping experience Join over 125 carefully selected makers, artists and designers, selling their own handmade products. Make Christmas special this year. MY LAST FAIR OF THE YEAR WILL BE…..
There’s also workshops in lino cutting, candle making, puppet making, stencils, punch needling and more to confirm. DO NOT MISS IT!!!!! Gather friends, family and furry pals, wrap up well and head down to West Ward Works. Shop. Eat. Drink. Unwind. Repeat.Child and dog friendly, free indoor market. DO NOT MISS IT!!!!! Gather friends, family and furry pals, wrap up well and head down to West Ward Works On Saturday 15th December. I hope you find this blog post useful and it helps you to make Christmas more special this year. 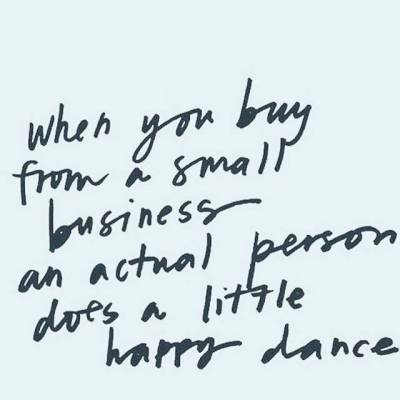 Support local makers and buy handmade because…..